General Electric (GE) has a new vice chair—and she is the first woman ever to hold that title. Tuesday morning, the company named Beth Comstock, its chief marketing officer whose ever-expanding oversight includes GE Lighting and GE Ventures, GE vice chair leading Business Innovations. Comstock, 55, joins three male vice chairs in CEO Jeff Immelt’s suite of key counselors. Though even without the vice-chair title that Daniel Heintzelman, John Rice and Keith Sherin have, Comstock has been, for many years, a constant right-hand advisor to Immelt. “Her passion for change and innovation is critical to our growth strategy,” Immelt said in a statement. Comstocks’ new title serves as a formal stamp of approval from Immelt and the GE board. And, by its designation—vice chair of Business Innovation—the post signals the company’s new direction. 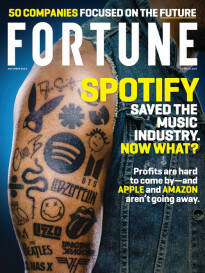 As Fortune’s Geoff Colvin explains in his story, “For GE, Breaking Up is Hard to Do,” in the current issue, Immelt, who has been CEO since 2001, is transforming the 137-year-old company to focus on industrial infrastructure businesses such as power generation, jet engines, locomotives, oil and gas production equipment, and lighting—GE’s original business, started by founder Thomas Edison and now in Comstock’s charge. When Comstock was handed oversight of GE’s $3 billion lighting business last October, she took on her first P&L responsibility and the challenge of learning first-hand how to remodel an age-old business for the digital era. To reinvent the light bulb, no less. The effort involves forging partnerships with startups that are developing LED technology for large-scale commercial use. Meanwhile, Comstock also oversees GE Ventures, which invests some $200 million a year in a variety of young companies chosen to help GE change and grow. The portfolio includes more than 70 companies in four investing areas: energy , healthcare, software and advanced manufacturing. There is nothing ordinary about Comstock’s rise to vice chair at GE. After majoring in biology at William & Mary, she ditched her dreams of being a doctor or a science journalist and tried TV news. Stints at CNN and CBS led her to NBC, where she headed public relations and later, under GE’s ownership of NBCUniversal (CMCSA), was president of integrated media at NBCU. There, she helped start Hulu with her former boss, Jeff Zucker, who now heads CNN. 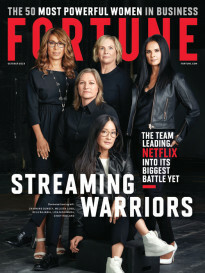 It was her team-building and innovation prowess that led Immelt to tap Comstock, in 2003, to be GE’s CMO—a job that had been left vacant for more than 20 years. That CMO title has been Comstock’s only constant for the past 12 years, as the global ad marketplace and her other corporate duties have altered dramatically. To burnish her innovation skills, she joined the board of Nike (NKE) four years ago. Last October, when she added lighting to her list of GE responsibilities, I asked Comstock if she ever thought about leaving to go to a younger company. “Of course, I’ve thought about it,” she said. But GE’s global footprint and Immelt’s eagerness to keep stretching her has kept her loyal.